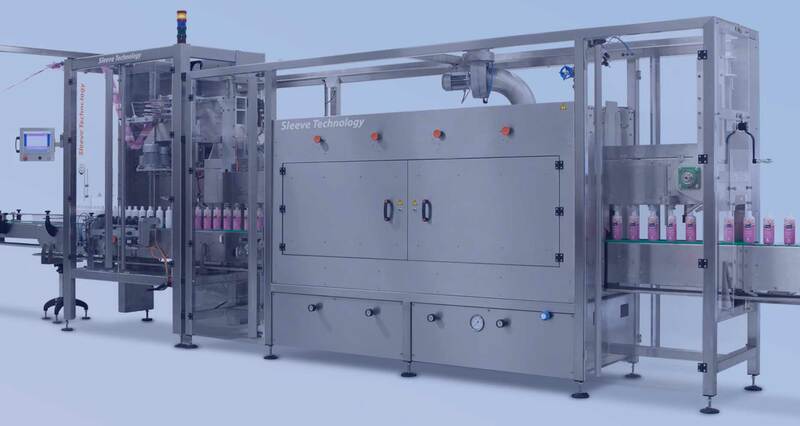 The Sleeve Technology LSSA 1000 sleeve applicator is an unique and compact single lane applicator specially designed for fully body sleeves for full body with tamper evident (guaranty seal) sleeves. This applicator is exceptionally reliable and compact whilst being allowed to sleeve full body sleeves. The LSSA 1000 applicator, made out of the highest quality materials, makes the delivering of a continuous stream of sleeve onto your product easy, day and night. The polished stainless steel housings and conveyors are hygienic and are designed for easy operation. All the high precision components of the machine are controlled with one easy-to-use touch-screen control panel which is the beating heart of the machine. Sleeve Technology has all solutions to your sleeving needs. Our first-class sleeve application machines are specially designed to suit the customers’ individual requirements, but are all based on well proven principles and are equipped with the latest control technology. The machines are reliable, simple to use, flexible and they have an efficiency of nearly 100%. We can also provide excellent service. Condensed or wet products cause application problems, the water acts as an adhesive between product and sleeve. Therefore the products are required to be dry and clean, an air knives system from Sleeve Technology is an excellent solution. All sleeving machines can be equipped with an air knives system. The touch-screen control panel is the beating heart of the machine and is based on standard Sleeve Technology controls. All the PLC functions are combined with the motion, temperature, safety and visualisation controls of the system and come together in one easy-to- use touch screen. Advantages of this system are, higher processing speed, better stability, higher flexibility, free licenses and remote service. If preferred we can connect via internet to the control panel and help you with settings or parameters. After applying the sleeve onto the products the sleeve has to be shrunk using either hot air or steam. Steam is generally used for shrinking full body sleeves or full body with tamper evident (guaranty seal) sleeves at high speeds. Hot air can be used for sleeving tamper evident. Sleeve Technology manufactures high quality hot air and steam tunnels which provide reliable and constant shrinking results for years. Tunnels are made of polished stainless steel which are easy to clean and very robust.